Providing a focal point for both industry within the Pacific, and global industry seeking to gain more exposure in the growing Asia Pacific market, the NZ Millennium Cup is now open for applications from brands wishing to align with the regatta. Orams Marine, New Zealand’s premier marine facility, housing over 30 marine specialist businesses in the heart of Auckland’s CBD, is capitalising on provision of platinum status to support the marine industry. “The NZ Millennium Cup is a fantastic product and we’ve put our hands up for the next two years because we know it’s great for the marine industry here in New Zealand” says Neven Barbour of Orams Marine. “Since our refit of the luxury 88m superyacht Athena, projects are increasing in size. Orams Marine Village is at capacity throughout the cruising season and we want to roll with this momentum, back the industry and give competitors something fantastic to look forward to when they come down," says Craig Park, Orams Marine. Smuggler Marine build world class fibreglass tenders and trailer boats. Smuggler RIBS, ranging from five - 11 metres grace the decks of many superyachts all over the world. With over 20 models to choose from, and the Smuggler attention to detail, we can build a boat to suit your needs. Far North Holdings Limited is owned by Far North District Council of New Zealand. FNHL has a diverse asset ownership with interest in Port Opua, Bay of Islands Marina, Kaitaia and Kerikeri Airports, Paihia Maritime Buildings and Paihia Wharf, Williams Road Car Park, Kaitaia Education Campus. Leading the fleet in the design and manufacture of superyacht sails, it's no coincidence that Doyle sails are aboard many of the world's most spectacular yachts. A proudly Kiwi company, Doyle Sails New Zealand has secured its place as one of the world's leading sailmakers by establishing a reputation for producing high quality sails and for continual innovation. With a full offering of sailmaking, service, rigging, upholstery and covers, Doyle Sails NZ also manufactures and distributes the market-leading Stratis membrane technology which is distributed throughout the Doyle global network. Yachting Developments is an international award-winning builder of composite yachts. The owners and staff at Yachting Developments have shared the vision and dreams of more than 70 individual clients, creating vessels of the highest quality standards, designed and custom made to the clients brief. Vessels are New Zealand made, hand crafted with the assistance of innovative computer technology. Onfire is a full service branding and digital design agency specialising in the marine industry. For over ten years we have partnered with some of Australasia's leading marine manufacturers. From superyachts, sails and rigging, to electronics, motoryachts and trailerboats. We are delighted to be joining the 2016 NZ Millennium Cup as silver sponsors. Having had so many Dubois yachts expertly built and completed by New Zealand-based yards and companies, it’s a real pleasure to support this great regatta and enjoy the beautiful location. We’re really excited to be joining the 2016 Millennium Cup as sponsors. We love shooting this regatta and can’t wait to be back in the helicopter over the beautiful Bay of Islands. Since 2003, our team at Breed Media have photographed over 250 superyachts, working in locations all over the world, capturing media that is creative, innovative and inspiring. One agency. Complete peace of mind. Integrated Marine Group (IMG), provide a unique end-to-end yacht service. From recruitment through to complex refits they expertly support a client's needs throughout a yacht's lifecycle. With several clients competing in what is set to be a great race, IMG continue their tradition as proud sponsors of the NZ Millennium Cup. Robinson Interiors is a company with the sole focus of manufacturing and fitting bespoke interiors for yachts and special projects. Using the latest technology in CAD design and manufacturing processes, ROBINSON can integrate the interior envelope of the most complex large motor or sailing yacht interiors into a yet to be built aluminum, steel or composite structure. Ocean Media are specialist publishers of Australasia’s luxury boating, lifestyle and yachting magazines. Established in 2005, the boutique publishing house has focused on excellence in editorial content, together with world class design and presentation not previously available to this specialised, premium sector of the maritime leisure market. The quality of the printed word and image is extended online with provision of full digital editions of all titles, the norm for the company since its launch - blending print and online worlds in one reader offering. Through clear, concise and topical features, The Superyacht Owner cuts through the fog of superyacht ownership issues, from financial and legal topics to tax and asset-management. Alongside weightier issues are inspiring features: 'Off the beaten track' voyages of discovery, owners' unique stories and different ways of enjoying life aboard. Published five times a year and printed to the highest standards, The Superyacht Owner complements the discerning readers' environments, be it business lounge, office or a chair on the aft deck. Holton Marine provides a one stop service for launch, ship and superyacht maintenance and repair at Orams Marine Village, Westhaven, Auckland, New Zealand. Close to Auckland's commercial slipways and the Viaduct Basin, we are on-call for routine maintenance or emergency repairs of both pleasure craft and commercial vessels. For almost five decades the name Maxwell has been synonymous with the highest standards of performance in providing anchoring solutions for pleasure boats, superyachts and commercial vessels. Whiting Power Systems service, support and sell a comprehensive range of marine & industrial diesels, gearboxes, drive systems, generators, air-conditioners, heaters, pumps, mounts and filters, and provide engineering services to cover all aspects of custom design, installation, refit, rebuild, maintenance, repair and problem resolution. Located at 158 Beaumont Street in Westhaven, Harken New Zealand is very close to superyacht berths in Auckland’s Silo Marina. 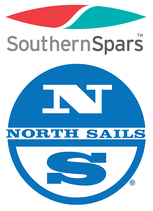 The company is the contact point for brands such as Harken, Spinlock, Tecma Toilets, Marlow Ropes and Tylaska. We carry an extensive range of stock and spare parts and can be relied upon to provide Technical advice on our products. Events Clothing specialises in the design, manufacture and supply of high quality crew uniforms to superyachts and motoryachts throughout the world. Offering both stock (off the shelf) and bespoke (custom made to order) ranges of apparel; the company currently services and supplies more than 500 superyachts world-wide. 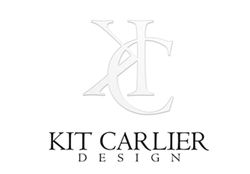 ​ Kit Carlier Design is a specialist yacht stylist and interior design studio offering a complete design service. We utilize marine specific experience and contacts developed from over 40 years combined in the marine industry. Our passion for design, yachting and the sea continues to infuse projects with originality, innovation and thoughtful attention to detail. McMullen & Wing has a reputation for building some of the finest and most capable luxury yachts in the world. An internationally-acclaimed custom yacht builder with specialist New Construction and Refit capability up to 60m, McMullen & Wing build to the highest world standards in steel, aluminium and advanced composites. Lloyd Stevenson Boatbuilders Ltd specialise in the construction of custom-built, composite and timber vessels, and has hand-crafted a diverse portfolio of high value sailing and motor yachts for discerning clients since the mid 1980s. Operating from a purpose-built facility in Auckland, LSB builds both sail and motor vessels, as well as yacht tenders. Every great story begins with a time and a place. For Mount Gay Rum that time and place is the Caribbean Island of Barbados in 1703. Rum, originally called “Kill-Devil” by the Barbadians who first distilled it, is truly a product of the island. The abundance of molasses combined with the culinary ingenuity of early settlers and, of course, their legendary thirst for alcohol lead to this unique discovery in the production of spirits. COAST New Zealand’s collections of luxury canvas and textiles are a perennial favourite in the super yacht arena. Drawing inspiration from the rewards and challenges of life by the sea: simple, relaxing and beautiful, but rugged and unforgiving. Their design process concentrates as much on materials and construction as on aesthetics and style, to ensure that everything they make is not only enduring, but timeless. Coast represents relaxed luxury that is made for life.